Pretty much I just want to gush over my daughter and how awesome she is. 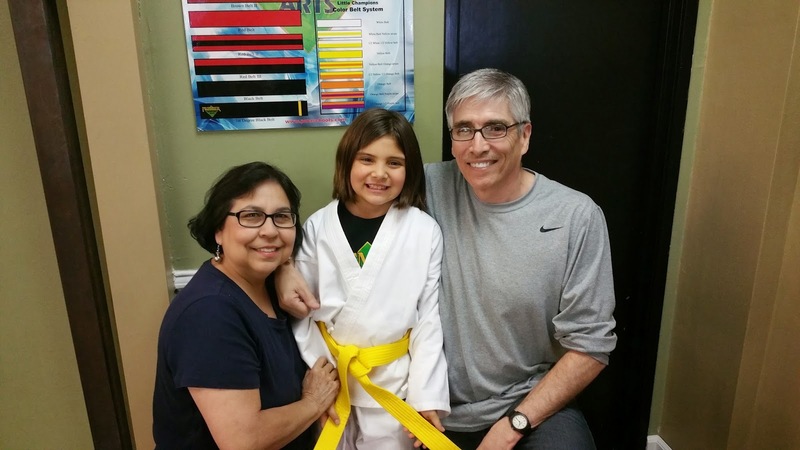 Saturday afternoon she had her 1st karate graduation & she moved up to a yellow belt! 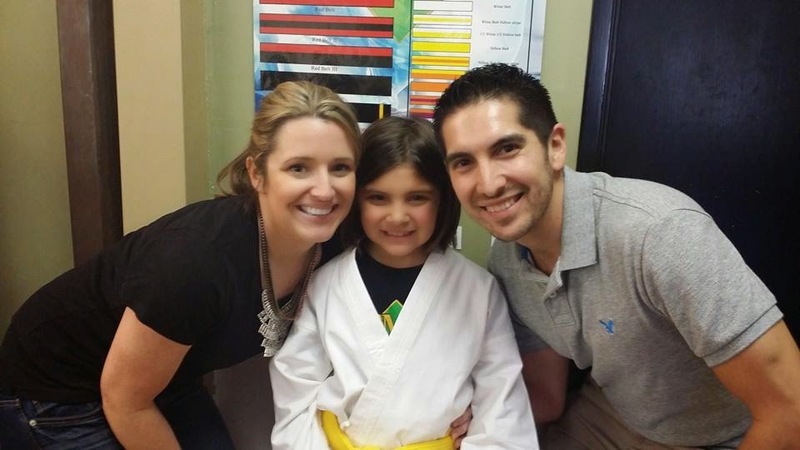 She was so excited she just kept hugging her new belt! Grandma & Grandpa came to watch and everyone was so excited for her. She did great the whole graduation. Afterwards we went out for lunch to celebrate! Saturday night we headed over to a friend's house to bbq & play Cards Against Humanity. It was so funny and we all had a great time! The kids ran around with glow sticks playing & watching movies all night. Sunday we took Bella to see Home which was adorable! She absolutely loved the movie!